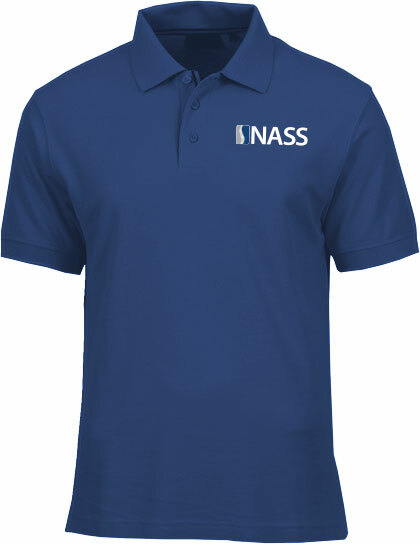 This Nike polo in varsity blue features the NASS logo prominently embroidered at the left chest. Made of Dri-Fit high-performance moisture wicking fabric designed to keep you comfortably dry. A self-fabric collar, three button placket, open hem sleeves and embroidered contrast Swoosh design trademark on the lower left sleeve. •	Material is 56% cotton and 44% polyester.